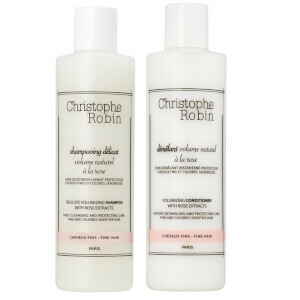 Use the Christophe Robin Detangling Gelée and Cleansing Purifying Scrub with Sea Salt to leave hair feeling clean, moisturised and effortlessly detangled. Free from parabens, silicone and SLES. The cleansing purifying scrub with naturally exfoliating Sea Salt is ideal as a detox treatment - it cleanses, purifies and restores balance to sensitive or oily scalps. Sea Salt effectively removes impurities from the scalp and helps to stimulate circulation while supplying rebalancing mineral salts. 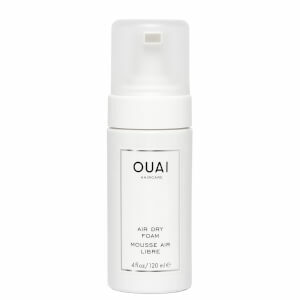 Also contains a 100% plant-derived moisturising agent to deliver a long-lasting moisturising effect. Can also be used as a post-colour treatment to sooth tingling and itching sensations. 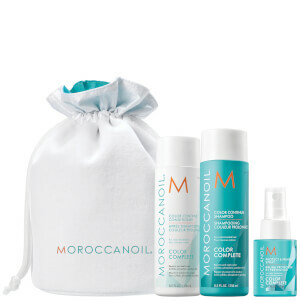 A gel-textured detangling treatment that works to hydrate and re-mineralise the hair and scalp without added weight. An essential second step in your complete detox routine, the detangling conditioner is best used after a purifying scrub and contains a cocktail of Sea minerals (Zinc, Magnesium, Iron, Calcium and Potassium) essential to hair's health. The refreshing blend works to instantly detangle without weighing hair down while re-mineralising the scalp and fortifying every strand. Also contains a 100% natural, highly emollient active ingredient to help deeply nourish and soften your tresses. Scrub: Detox treatment: Apply the equivalent of a tablespoon on damp hair. Gently massage the scalp, add a trickle of water then lather, concentrating on the nape of the neck. Rinse thoroughly. Post-colour treatment: Ideal for eliminating chemical residues that have become embedded on the scalp. Instantly soothes itching and calms irritation. Detangling Conditioner: After the purifying scrub with sea salt, apply on the scalp, lengths and ends. Emulsify, then rinse. This highly concentrated treatment works well with all shampoos. Avoid contact with eyes. Scrub: Sodium Chloride, Sodium Laureth Sulfate, Water, Butylene Glycol, Cocamide Mea, Glyceryl Stearate, Peg-100 Stearate, Saccharide Isomerate, Hydrated Silica, Bisabolol, Menthyl Lactate, Prunus Amygdalus Dulcis (Sweet Almond) Oil, Parfum (Fragrance), Phenoxyethanol, Benzyl Salicylate, Linalool, Limonene, Citronellol, Hexyl Cinnamal, Butylphenyl Methylpropional, Evernia Furfuracea (Tree Moss) Extract, Citric Acid, Sodium Citrate. Detangling Conditioner: Aqua (Water), Propanediol, Brassicamidopropyl Dimethylamine, Behentrimonium Chloride, Polyquaternium-10, Hydroxypropyl Guar Hydroxypropyltrimonium Chloride, Ppg-26-Buteth-26, Parfum (Fragrance), Maris Sal (Sea Salt), Peg-40 Hydrogenated Castor Oil, Sodium Chloride, Silica, Isopropyl Alcohol, Lactic Acid, Sodium Acetate, Disodium EDTA, Phenoxyethanol, Ethylhexylglycerin, Benzyl Salicylate, Linalool, Limonene.